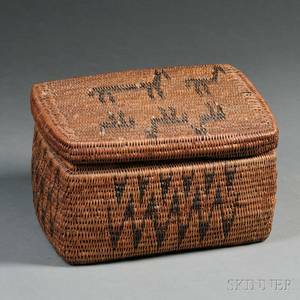 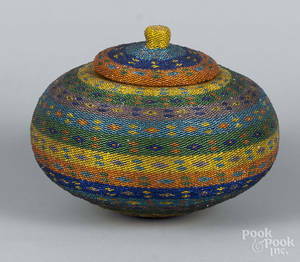 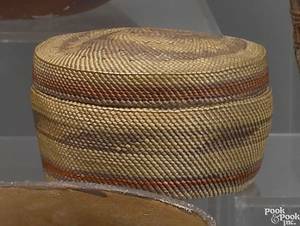 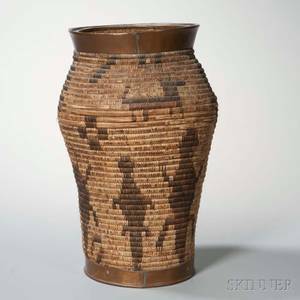 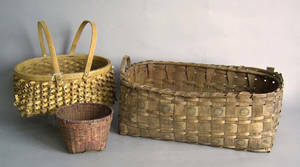 Iroquois woven basket with painted decoration, 8 1/2" h. , 24" dia., together with a double handled basket, and another basket. 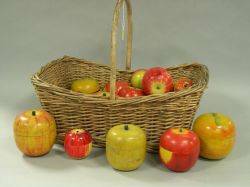 Woven Wicker Basket with Painted Wooden Apple-form Containers. 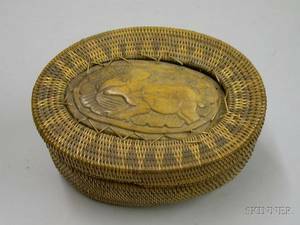 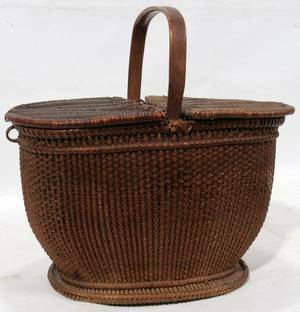 Jose formoso reyes nantucket basket; covered woven basket with ivory pin swivels and carved ivory whale on lid, 20th c.; marked "made in nantucket jose formoso reyes 1960"; 7 1/2" x 10 1/2" x 7 1/2"
Asian Woven Basket with Woven and Carved Wooden Cover. 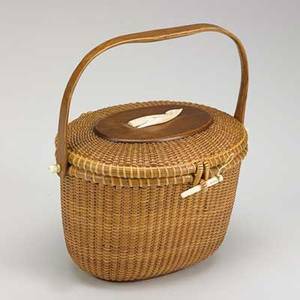 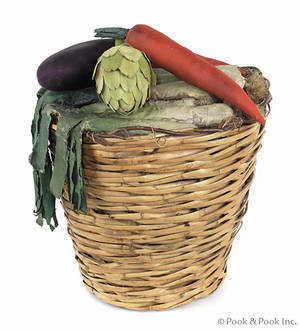 091210: WOVEN BASKET WITH HANDLE, H 10 1/2", L 11"